Today was the first day of Chocolate, Brittle and Bark Theme Week. 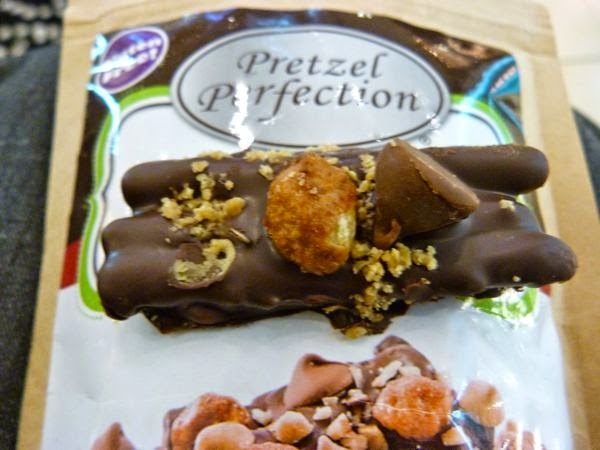 While not technically a brittle, today's crunchy, gluten-free amalgam of chocolate, pretzels, toffee peanuts and chocolate and peanut butter chips from Pretzel Perfection (Vancouver, WA) contained a sprinkling of toffee bits as well -- making each one of these clusters similar to a fully loaded shard of chocolate brittle or bark. 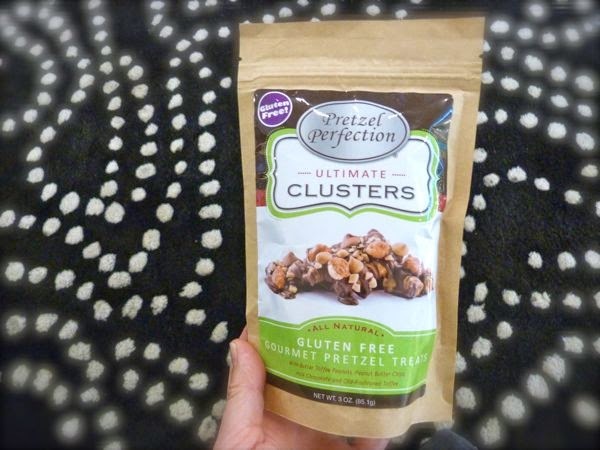 The jumble of layered flavored and textures was fun and satisfying; and this made me want to try more of the company's sweet and savory gluten-free pretzel offerings.